Let’s add some Razzle Dazzle to your finish line. 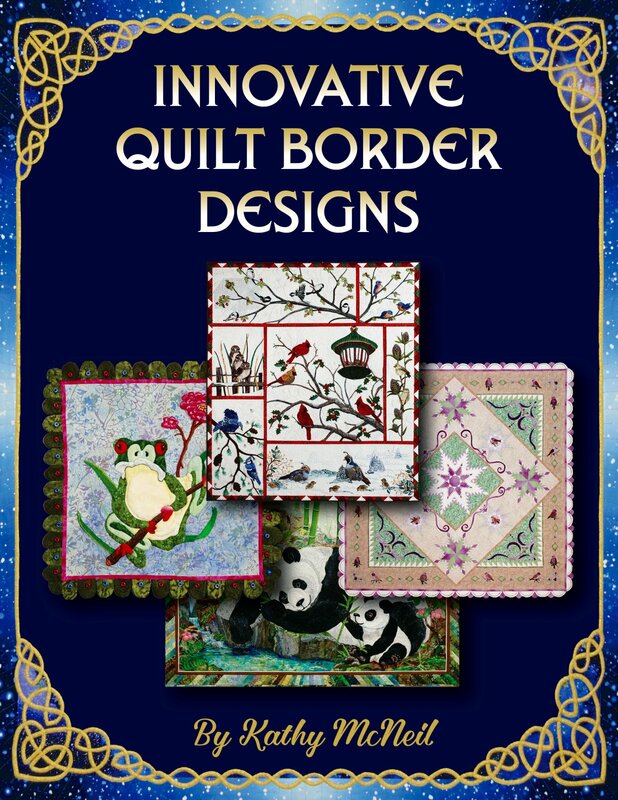 Innovative borders add an extra layer of excitement and discovery to enhance the visual impact of your quilt. Use them to enrich your color scheme, dramatize a theme, bring unity, balance, or create movement. Learn helpful principles of design as they apply to borders. Kathy shares tips for choosing complimentary innovative designs, construction of various options and quilting your borders. This book includes over 70 colorful images from many award winning quilters to inspire you. Borders are a splendid place to play. I hope this book fills you with excitement, and leads to new border ideas. Review - Kathy, your book is beautiful and your tips are so meaningful - I found ideas that will definitely make their way into future quilts. E-books save money. Once you purchase your book, you will receive an email with a one time temporary link to download the book. The shopping cart system can take up to 36 hours to verify and send your link. Kathy McNeil Art Quilts Publisher, All rights reserved. No part of this book my be reproduced, or transmitted in any form, or by any means including but not limited to electronic, mechancial, photocopy, recording or otherwise, without the written consent of the author and publisher.